Stage 2: Custom Performance Chip £1250: Power gains dependant on other modifications. Stage 2: Custom ECU Remap £1450: Power gains dependant on exhaust/intake modifications. Tubi, Milltek, Supersprint, Cargraphic exhausts available. Stage 2: Custom ECU Remap £1645: Power gains dependant on exhaust/intake modifications. 911 997 3.8 S 350 BHP £880 Stage 1: ECU Remap +22 BHP and +27 Nm Torque. Stage 2 £950: Custom ECU Remap: Power gains dependant on other modifications. 911 997 Turbo 473 BHP £2,290 Stage 1: ECU Remap +55 BHP and +65 Nm Torque. Stage 2 £2500: Custom ECU remap: Power gains dependant on other modification. Stage 2: Custom Performance Chip £625: Power gains dependant on other modifications. Stage 2: Custom ECU Remap £625: Power gains dependant on other modifications. Stage 2: Custom ECU Remap £950: Power gains dependant on other modfications. Stage 2: Custom ECU Remap £950: Power gains dependant on other modifcations. Stage 2: Custom ECU Remap £1450: +75 BHP +108 Nm Torque dependant on exhaust/intake modifications. Cayman 2.7 245 BHP £646 Stage 1: ECU Remap +12 BHP +20 Nm Torque. Stage 2 £750: Custom ECU Remap: Power gains dependant on other modifications. 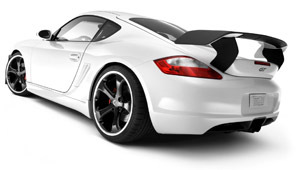 Cayman 3.4 S 295 BHP £699 Stage 1: ECU Remap +16 BHP +27 Nm Torque.